Strictly speaking, we simply did the riding – not the driving – but I can assure you – it was WILD (erm, thanks – *I think* – to Jeremy, our guide). 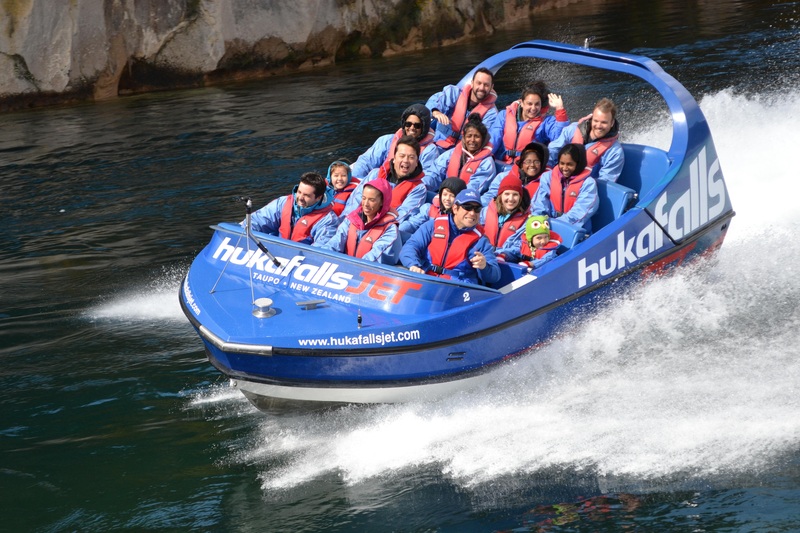 I didn’t really comprehend the adrenalin rush that the Huka Falls Jet Boat would give me, until I tried to stand up straight – after half an hour of being swung in an uncountable number of 360 degree spins and sudden thrusts, from left to right (& every which way between). 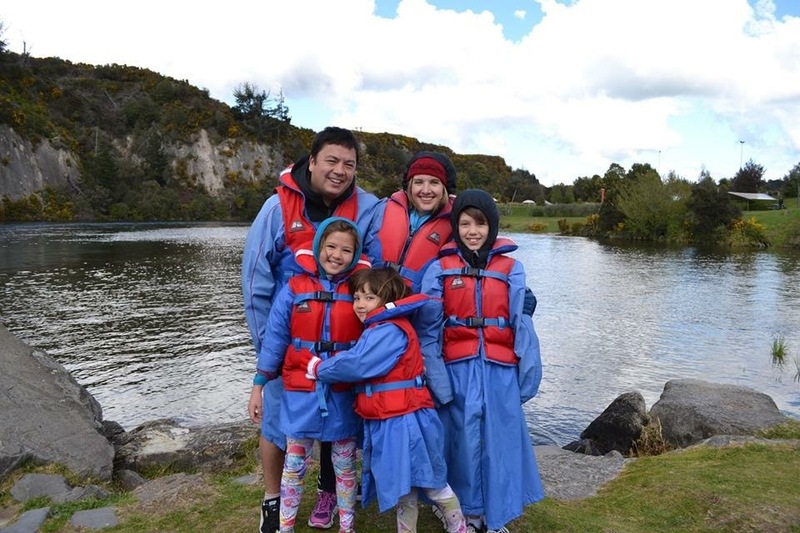 Before the jet boating (and before my legs turned to jelly!). 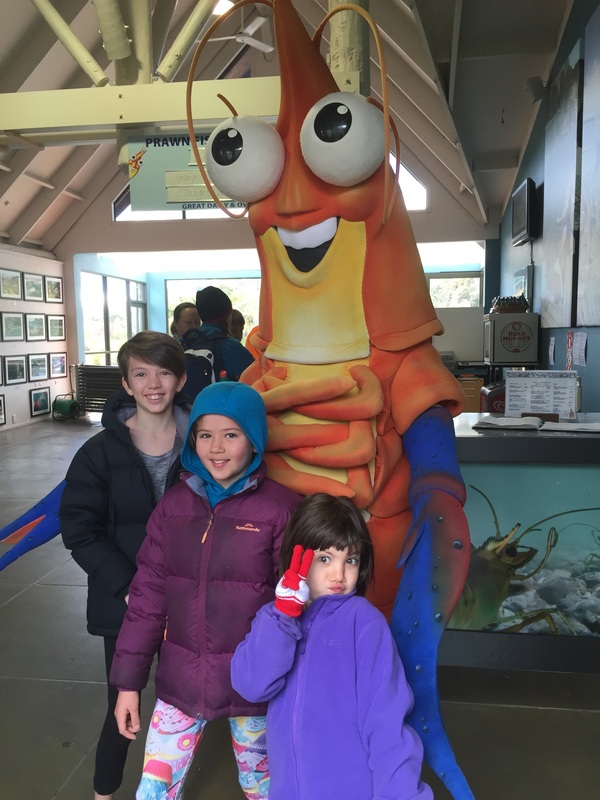 CHECK OUT THE VIDEO FOOTAGE AND YOU’LL SEE WHAT MY WORDS CANNOT SAY…!!!! After the ride my legs were jelly, literally. 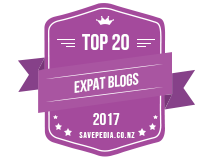 I walked off the boat having to focus on sending messages from my brain to my legs to move in the direction I wanted to go – away from the water to dry land as quickly as possible! 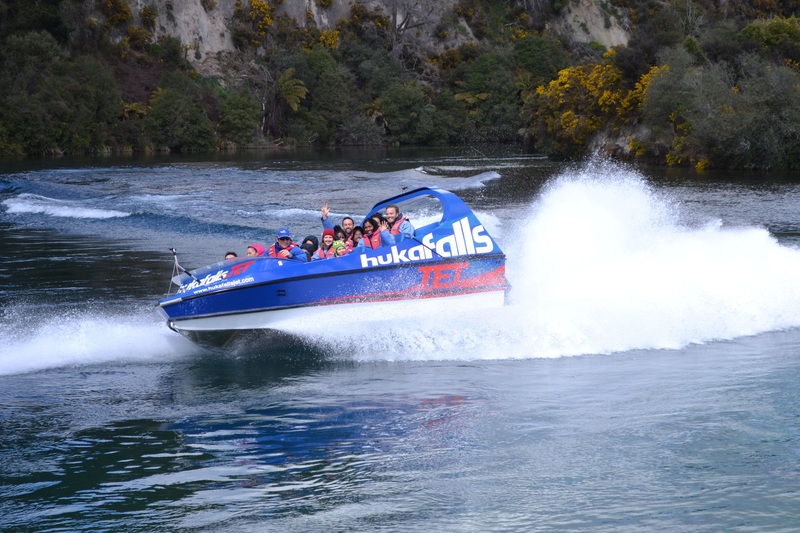 The river Waikato is stunning and a paddle down the gentler parts, in a scenic boat trip or kayak, would be beautiful – but this ride – let’s just say – it’s ‘beauty on speed’! 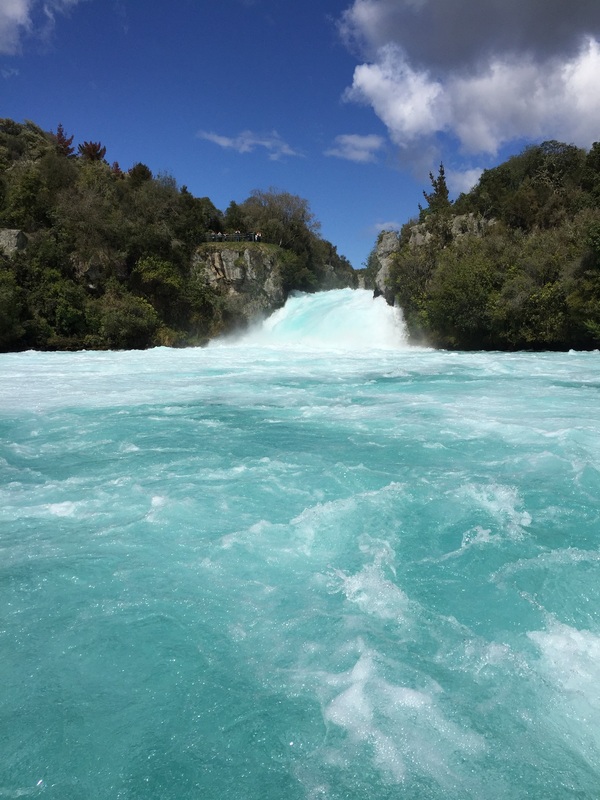 If you like a shot of adrenaline and want to see the Huka Falls ‘wild side’ then this is the best way to do it (though I did witness some ‘cray cray’ kayakers going down the falls once – and held my breath when one nearly didn’t make it!). This beautiful river is somewhere I yearn to spend longer exploring. I would happily take days to enjoy this river in a multitude of ways, if time allowed (and my children were all game!). In fact, in past years, I have enjoyed a beautiful kayak on the calmer parts of the river (with Taupo Kayak Tours), and a walk along side it, where the Aratiatia Dam opens to send water cascading down every couple of hours. There are amazing mountain bike paths running parallel to the river and opportunities to white-water raft on parts of it – with different options to suit all ages. 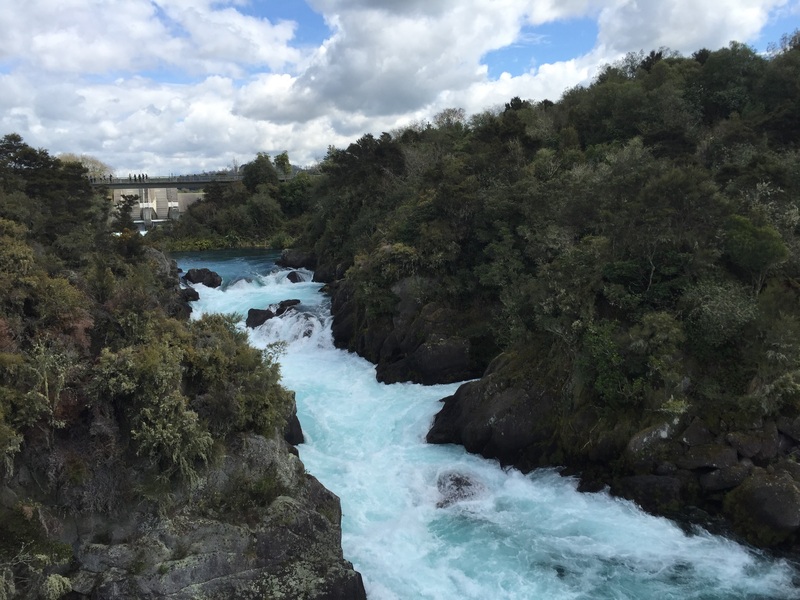 It really is spectacular, and so much so, that parts of one of the Hobbit movies were filmed on the river! Anyway, no barrel rafting for our kiddos, just a bit of jet boat action, (which was enough for our Miss 5 – who really thought she was going for a scenic boat trip to see a pretty water fall and some baby ducklings… but coped remarkably well with the experience!). We were all glad of a warm meal and a hug with, the one an only, Shawn the Shrimp afterwards at the Huka Prawn Park Restaurant! 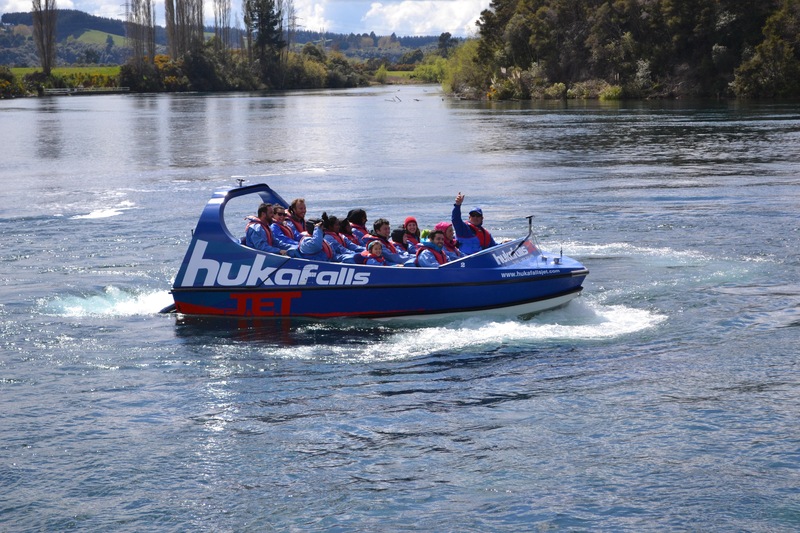 Adventures, Country Kids, Holidays, Life in action - Videos family fun, Huka Falls, jet boating, life in action, Life in action - Videos, taupo, Waikato River. permalink.